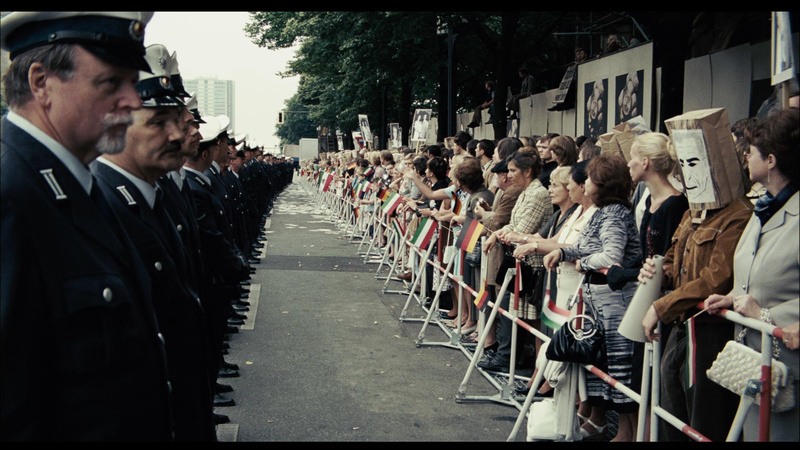 Description: Germany in the 1970s: Murderous bomb attacks, the threat of terrorism and the fear of the enemy inside are rocking the very foundations of the still fragile German democracy. 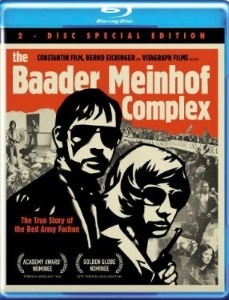 The radicalised children of the Nazi generation led by Andreas Baader (Moritz Bleibtreu), Ulrike Meinhof (Martina Gedeck) and Gudrun Ensslin (Johanna Wokalek) are fighting a violent war against what they perceive as the new face of fascism: American imperialism supported by the German establishment, many of whom have a Nazi past. Their aim is to create a more human society but by employing inhuman means they not only spread terror and bloodshed, they also lose their own humanity. 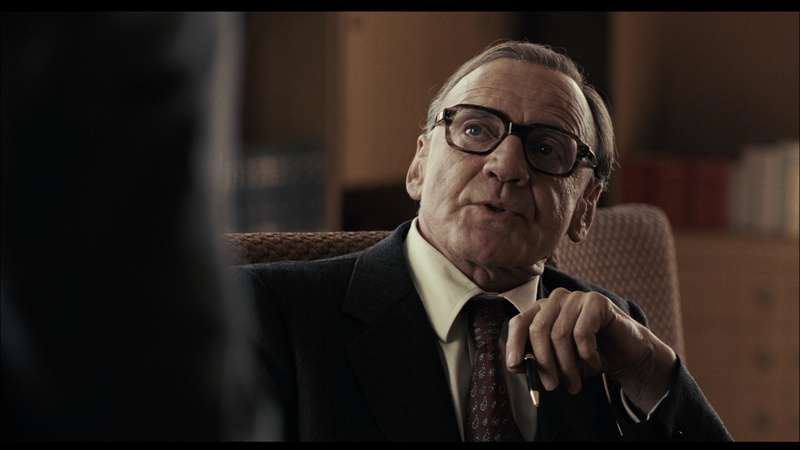 The man who understands them is also their hunter: the head of the German police force Horst Herold (Bruno Ganz). And while he succeeds in his relentless pursuit of the young terrorists, he knows he s only dealing with the tip of the iceberg. 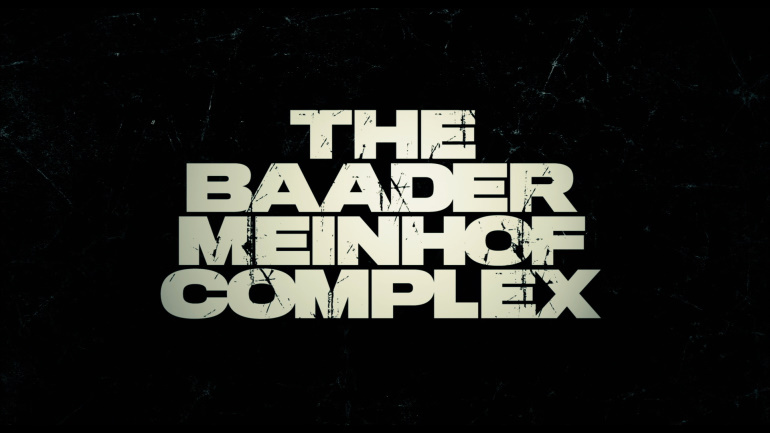 Like the name of the West German radical terrorist organization whose tale it tells, "The Baader Meinhof Complex" is a fascinating hybrid of a film. Even though its purpose couldn't be more serious, its style could hardly be more pulp. 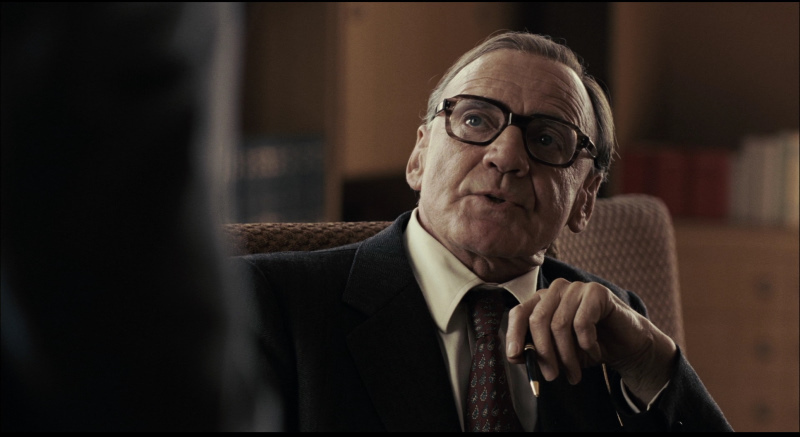 Which is probably fitting for a group that started out with high-minded goals and ended up robbing banks and blowing people away. 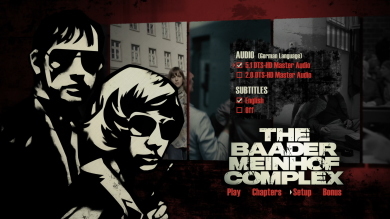 Though few people in the U.S. remember its exploits in detail, the actions of the Red Army Faction, usually called the Baader Meinhof Gang after its two most prominent members, largely defined the history of Germany in the 1970s, and the group remains a subject of enormous interest in that country. 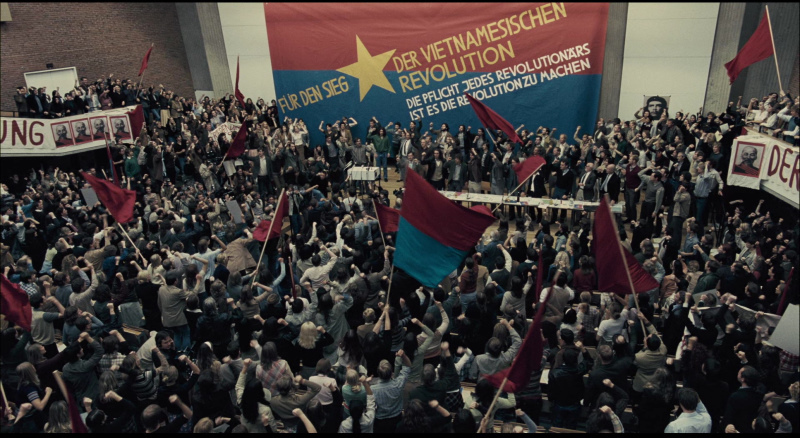 Imbued with the spirit of youthful rebellion that seized Europe in 1968 but also burdened by a particularly German fear that saw a revival of fascism latent in every government action, Baader Meinhof virulently opposed U.S. involvement in Vietnam and believed it was, as one of its member says, "going to change the political situation or die trying." 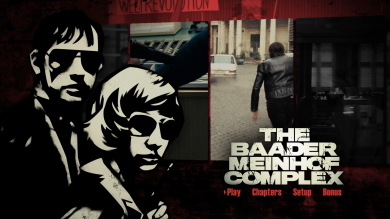 The Baader Meinhof Complex looks excellent on Blu-ray from MPI. 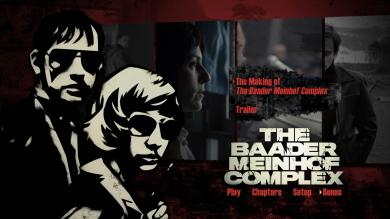 Previously available overseas this makes it's digital debut for 1080P edition and SD-DVD (available HERE) in North America - both packages offered as 2-disc releases. 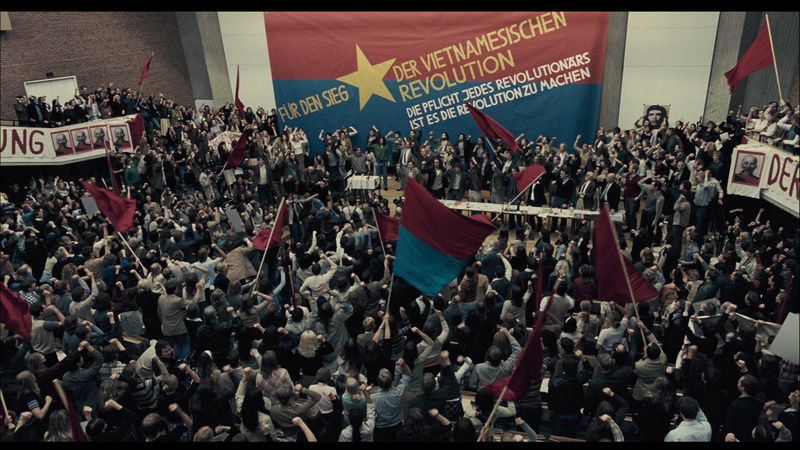 The art direction here is excellent and brings relevancy to the film's period with colors often subdued. 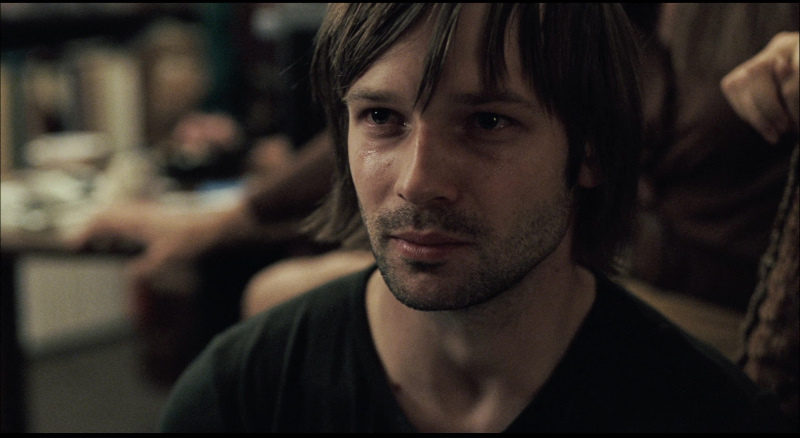 Skin tones seem true and contrast exhibits healthy black levels. 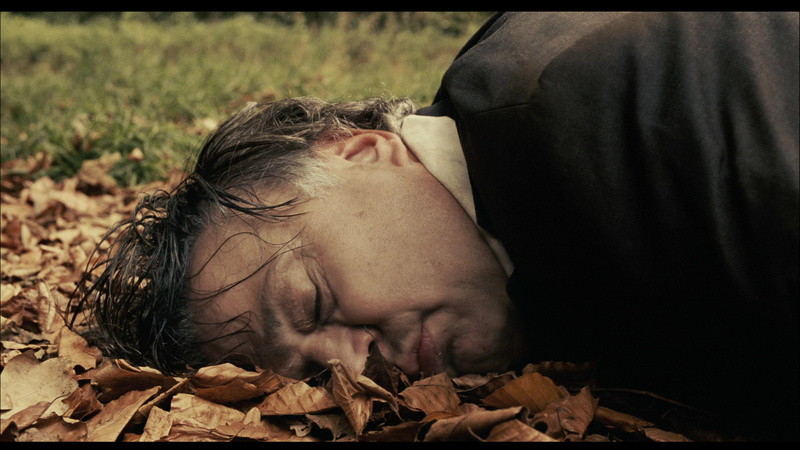 Detail is strong and defined in the many close-ups of the film. 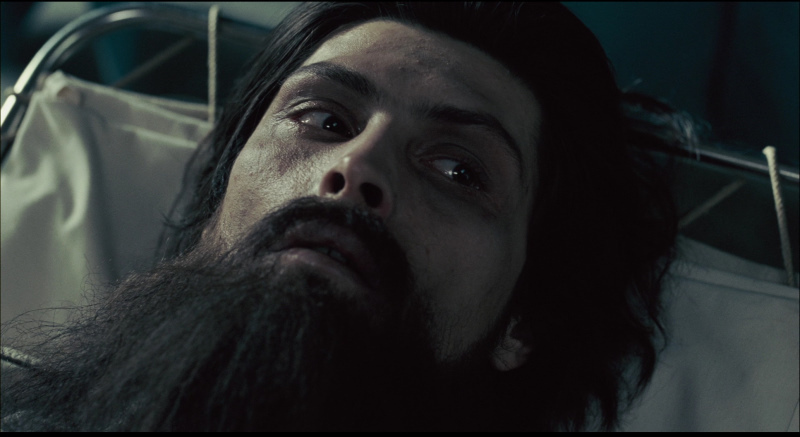 The Blu-ray disc is dual-layered with the 2.5 hour film taking up over 40 Gig. The transfer is at the higher end with a very competent rendering of a deceivingly good looking film. 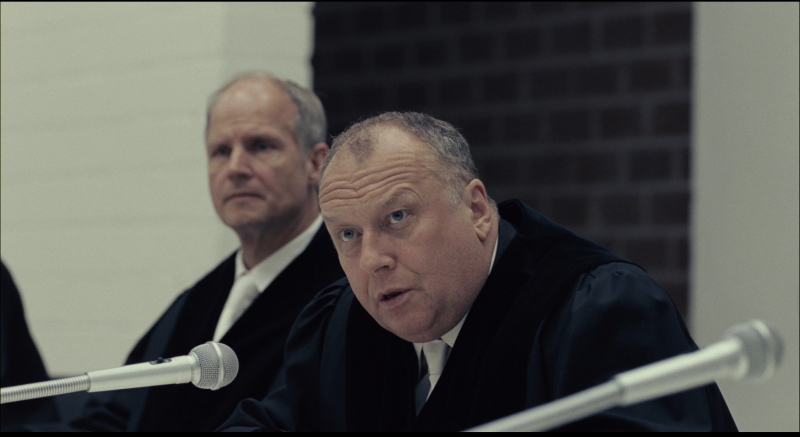 The disc sports a lossless DTS-HD Master 5.1 track, in original German, at 2255 kbps. 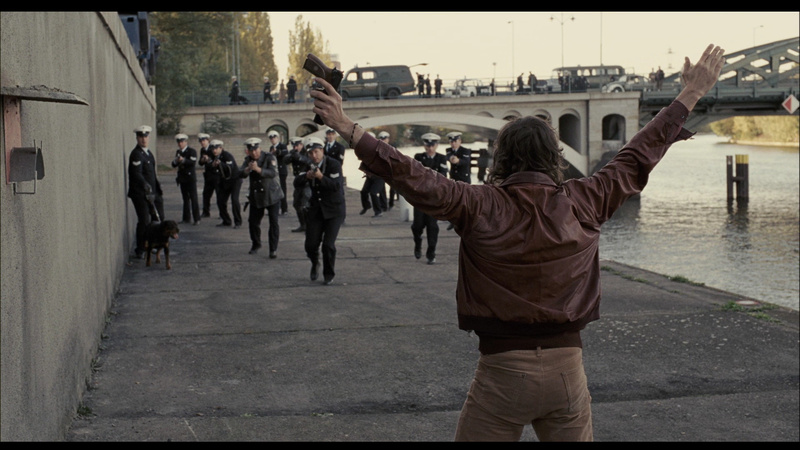 While not the most dynamic track I've heard it appears to get the job done with a lot of activity from explosions to gunshots showing decent range and bass response. It's no demo but competent and supports the film well. 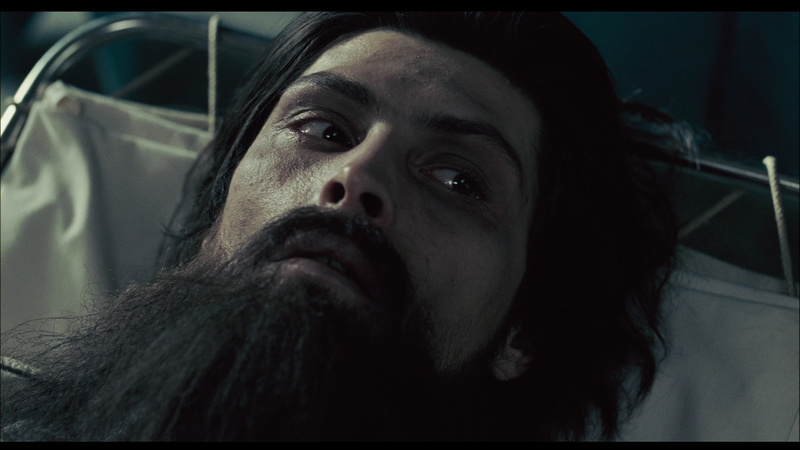 There are optional English subtitles and my Momitsu has identified it as being a region FREE disc playable on Blu-ray machines worldwide. 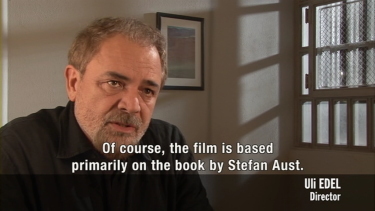 The package is stacked with a separate DVD including about 2.5 hours of extra features. 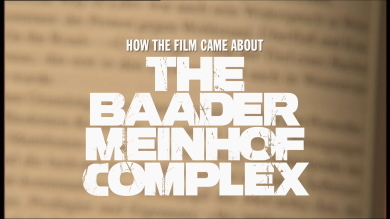 On the Blu-ray disc we get the lone supplements - How the Film Came About: The Baader Meinhoff Complex running 30-minutes - in German (as are all features) focusing on the film's roots and a theatrical trailer (2:14). 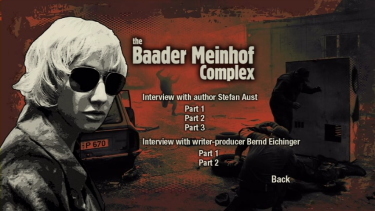 On the 2nd disc DVD we get a 3-part Interview with author Stefan Aust (approx. 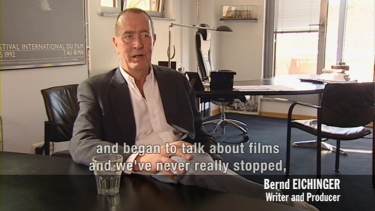 40-minutes in total) and a 2-part Interview with writer and producer Bernd Eichinger (approx. 25-minutes in total). Both excellent vieiwing. 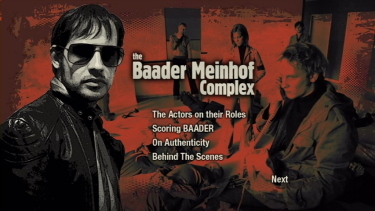 There are production details and historical accuracies discussed in The Actors on their Roles, Scoring Baader (Peter Hinderth�r and Florian Tessloff), On Authenticity and some Behind the Scenes clips. 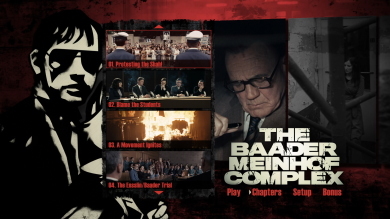 In the absence of a commentary for the fairly long film these extras cover an immense amount of ground and I would only want some further historical details and/or vintage clips. As it stands we get a bucket-full for those willing to indulge. 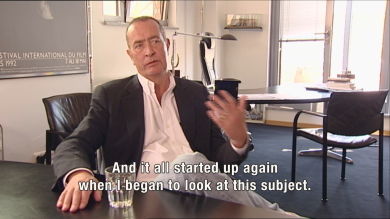 I think this film achieves its goal as a relevant historical document. 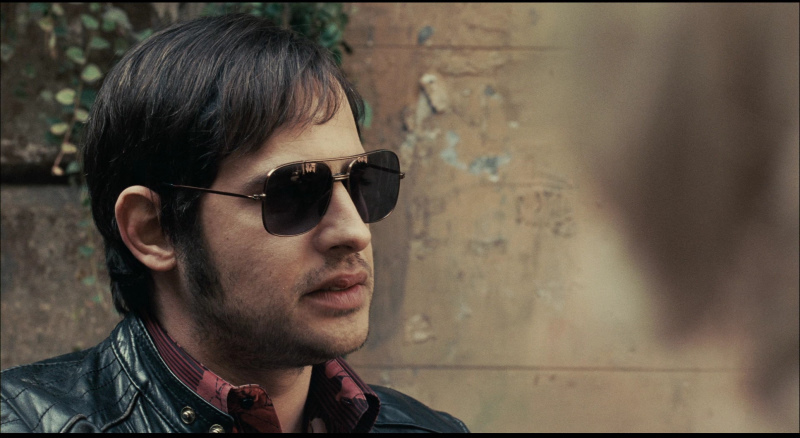 Like many, I remember very little of the Baader Meinhof Gang. The art direction is impressive and this is an educational/entertaining period piece with a lot going for it. 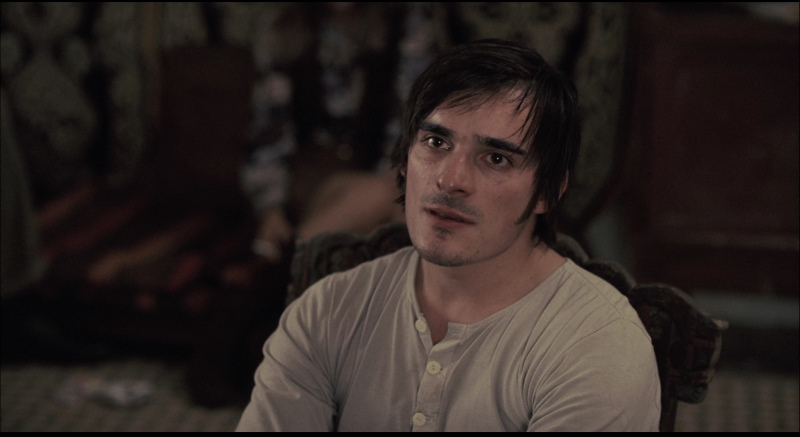 The Blu-ray seems to reproduce the film with expert precision and the supplements are overflowing. Strong recommendation.